Did you just sell or buy that new house? Congrats! Now it’s time for the packing and moving. However, before you even do that- it’s garage sale time (weather permitting, of course). We’re not talking Craigslist, Facebook marketplace, eBay and countless apps for getting rid of the things we don’t want or use anymore. We don’t know about you, but we think that there is just something special about a good old fashioned garage sale. If you have a bunch of things to sell at once, a garage sale can be a particularly appealing option. Shoppers can come through and peruse your items all at once, and rather than trying to set up meeting or shipping times with people who may buy your things from internet sites, they can make the purchase right then and there. Plus, there’s just something thrilling about going through all of your items, pricing them out, setting them up and watching them go to a new home. At Homes For Heroes, we also know that a garage sale is an excellent way for our Heroes to prepare for a move. It’s incredible how much “stuff” we can accumulate over time, and with each move comes a new set of housing obstacles. Some homes may require you to downsize, and you must be able to do it quickly and make a little bit of cash from it. 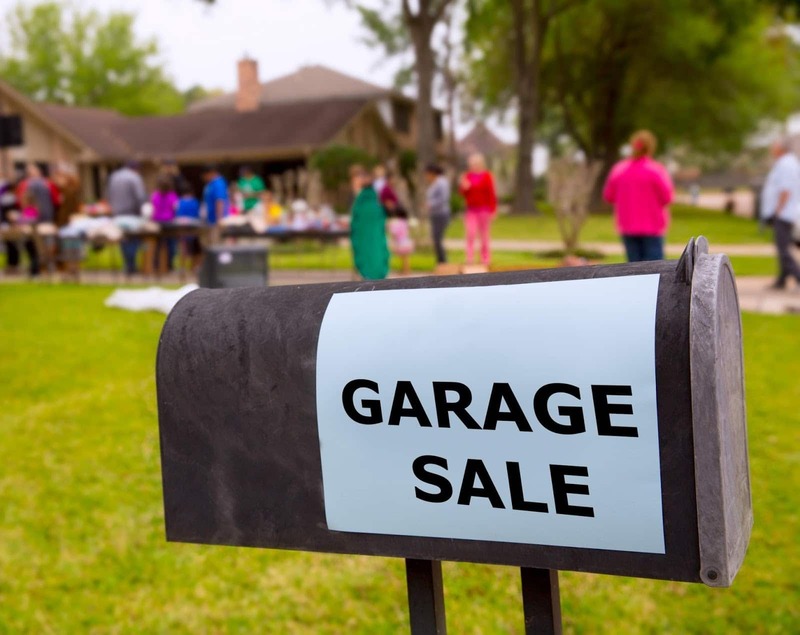 We have put together a list of tips and tricks to help you get that garage sale going and have fun while you’re doing it. Timing is everything when planning your garage sale. If you want to draw a large crowd and downsize as much of your stuff as possible at once, Friday, Saturday, and Sunday are your safest bet. The earlier in the day you can start, the better. That way your patrons don’t have to worry about interrupting their schedule. 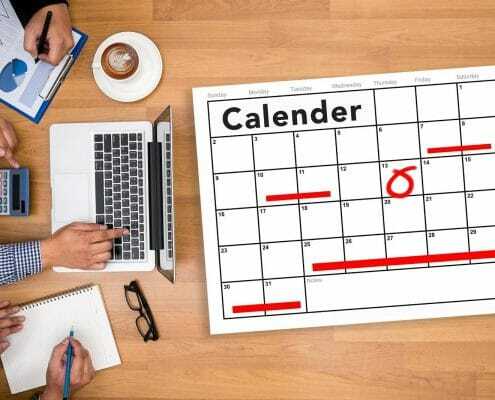 Adding more days to your garage sale is excellent. A Thursday thru Sunday sale is a wonderful way to make sure that you are giving everyone who would want to come to your sale an opportunity to. If you have the time, plan your garage sale for a time of year when the weather is not too extreme. Likewise, it’s important to stay flexible. If it looks like you’ve planned your garage sale for a day that it might rain, go ahead and assume that it will, consider your space and think about a backup plan. Can you clear a space in your garage to hold the sale if it rains, or do you have a neighbor that would be willing to let you borrow a canopy for a few days? 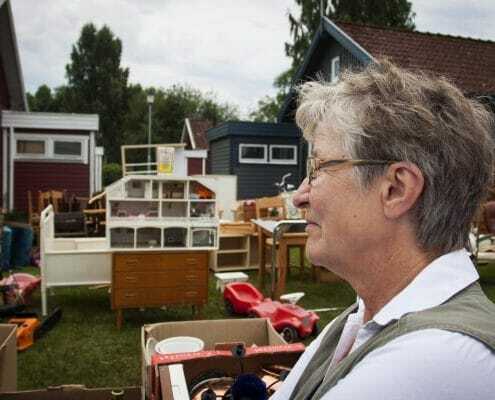 Preparing for a garage sale can be a lot of work, and we don’t want to see all of your hard work go to waste because the weather doesn’t cooperate. It might take a bit of creativity on your part, but it will be worth it. Garage sales are one of those things are just a lot more enjoyable when done with a team. Give your spouse a honey-to-do list, get those kids off the video games and put all that energy to work, or even ask your friends to help. If everyone does a little bit, it won’t seem like such a huge task- and it might even be a bit fun! Don’t forget- just like it takes a team to make garage sales fun, having a team to be your advocate during the home-buying, selling, or refinancing is far more important. That’s why Homes for Heroes real estate specialists are here for you. And, as a bonus, they will actually help you save money during the closing process. To learn more or see if there is an agent in your area, click here. If you’re still curious about us head on over to the reviews about us on our FB! There are endless options for you to advertise your garage sale. 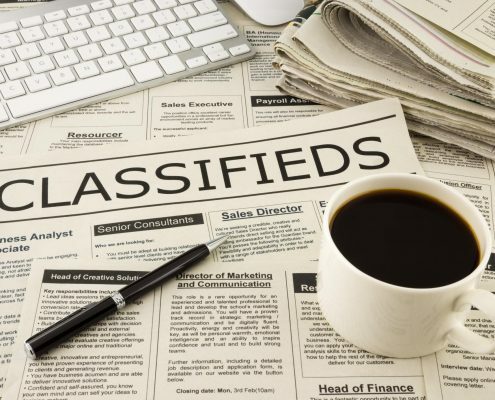 You can go the traditional route and advertise with signs and newspaper ads. Make sure if you decide to go with signs, that you check the laws in your area about displaying your signs. If you can put signs up in your local area, you may as well go ahead and make them as eye-catching as possible. Nothing says “hey we have cool stuff” like brightly colored and easily legible garage sale signs. Be sure that you remove your signs when your garage sale is over since it’s the neighborly thing to do. On top of newspaper ads and signs, you can advertise your garage sale on Facebook and Facebook garage sale pages. Craigslist, Garage Sale Source, Garage Sale Hunter, Yard Hopper and Yard Sale Search are all reputable sites that you can use to advertise your garage sale as well. There’s a lot more to hosting the perfect garage sale than meets the eye. Be sure to gather supplies such as tables or a sturdy flat surface to display your items, chairs to sit in, and plenty of change. The next step in getting prepared for your garage sale is deciding how you want to display and sort your items. Consider the set up of your garage sale carefully, and try to account for things such as breakables and bulk items like clothing. Pricing your items is another big part of preparing for your garage sale. Are you going to keep things that you plan to sell for the same price in one section or in a box, or are you going to label each item individually? The day of your garage sale is going to be hectic, so give yourself enough time to set everything up and to check your items to make sure they’re all priced correctly. Put your change in a safe place and designate a space to complete purchases. When your patrons begin to arrive, be sure to act friendly and welcoming. They’re going to have lots and lots of questions, so be patient and keep smiling. Answer their questions as much as you can and try not to get overwhelmed. Haggling will happen, and you’ll have to get comfortable with that very quickly. Set a rock bottom price in your mind and try to meet the person you are haggling with somewhere in the middle. If you can’t, don’t miss out on a sale. If it’s something you don’t think will be purchased at a higher price later on, it might be better to part with it now rather than deal with it still lying around later. At Homes For Heroes, we know that garage sales can be endless fun and lots of work. Get prepared, get organized and try to have a great time. We love to give back to our heroes. Sign up here to have one of our affiliates give you a call when you are ready to buy, sell, or refinance your home!